I will see if my client has any edits needed but other than that I think she is complete! I have been giving her "the eye" all morning from different angles and nothing has popped out at me so far. Since the last update I spent a fair bit of time strengthening the shadow areas and refininh her features, softening edges along the way. For this painting I used Daniel Smith Sepia watercolor pigment on Arches paper. 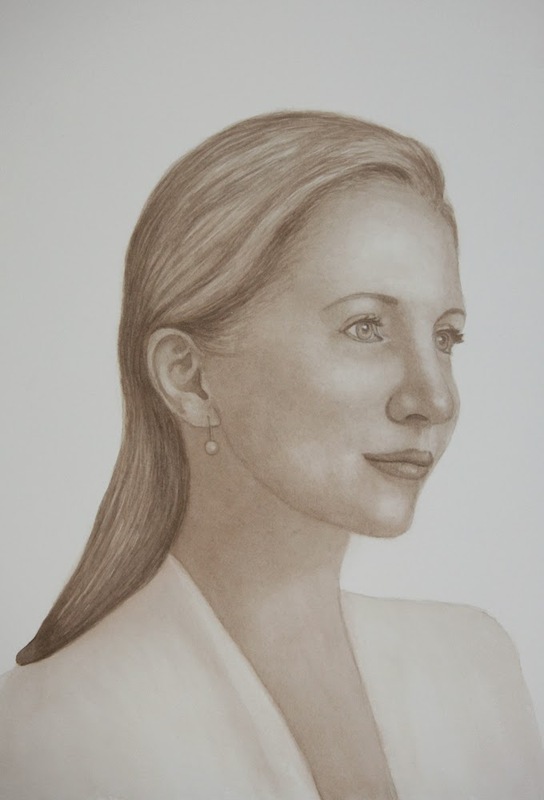 I often use Winsor Newton Sepia as well as it is great for cool dark areas but I really like the warmth of Daniel Smith's sepia for portraits. This painting will be used on a book cover for a series of books that I have been fortunate enough to be commissioned for.